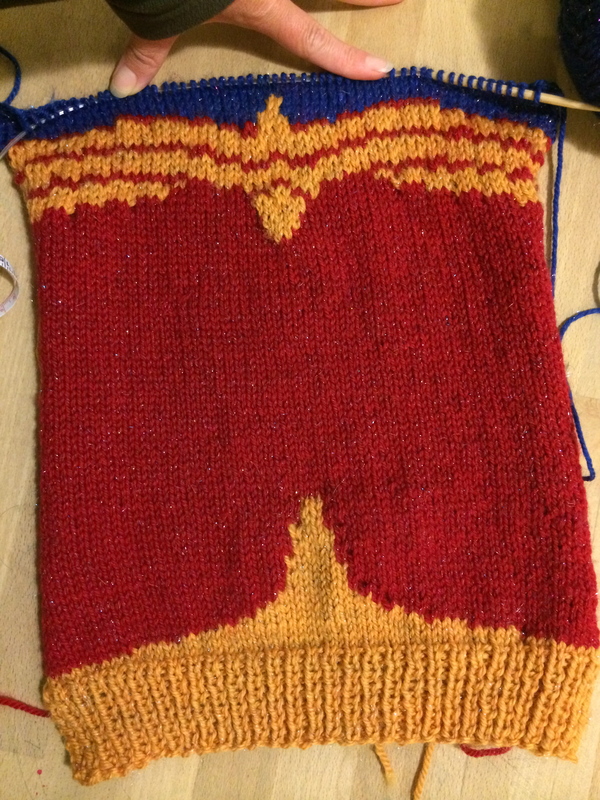 The front of the Wonder Woman sweater is almost done! I’m at the raglan decreases. It’s wider than it looks– because of the stockinette, it curls back and looks narrow, but it’s actually over 13 1/2 inches wide. 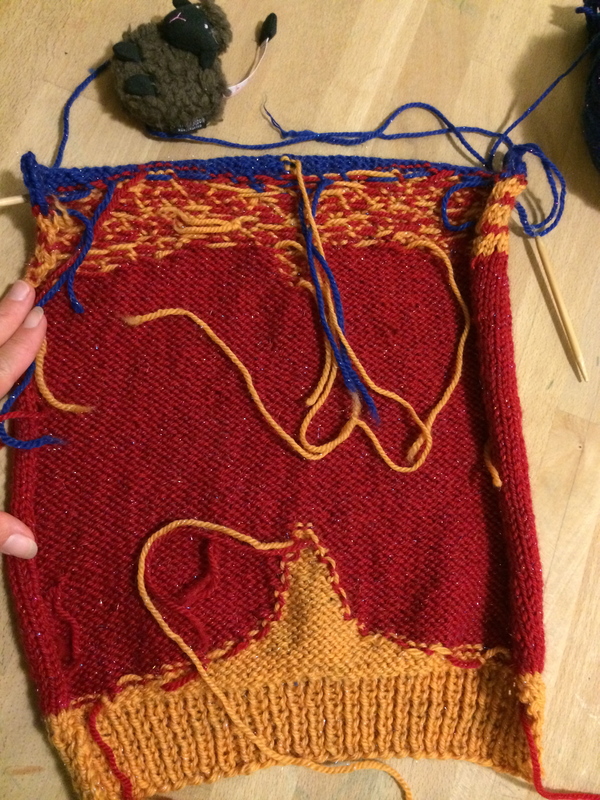 Want to see all the ends I get to weave in??? 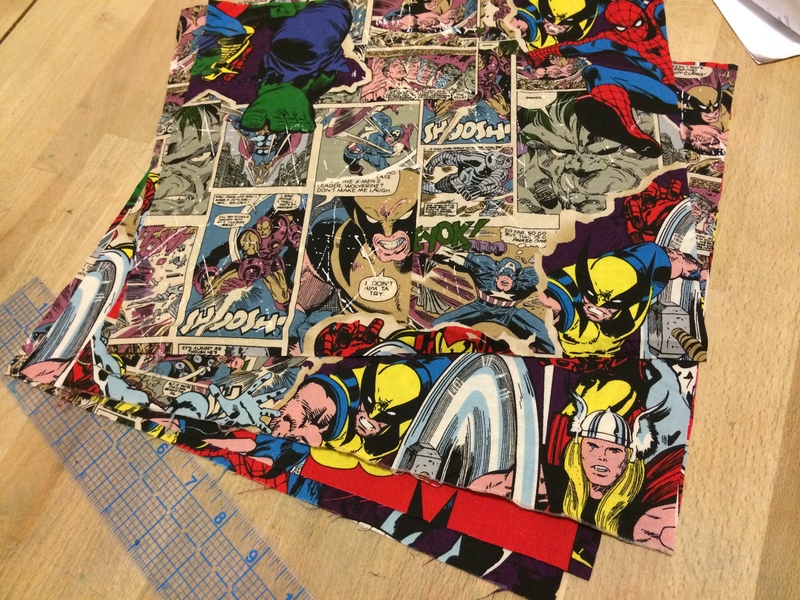 These will be funky Marvel Comic-themed bags, and I have more Star Wars, Batman, Buzz Lightyear, etc,. ones in the works as well. Those dog sweaters you have posted are awesome, too!